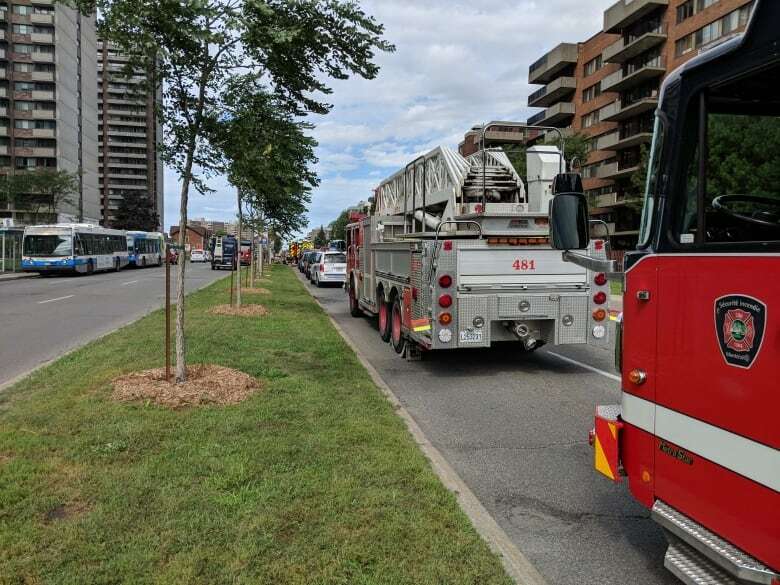 Cavendish Boulevard reopened and residents were finally able to return to their homes Thursday afternoon, hours after the scramble to contain a gas leak resulted in gridlocked roads and power outages in Côte Saint-Luc and beyond. 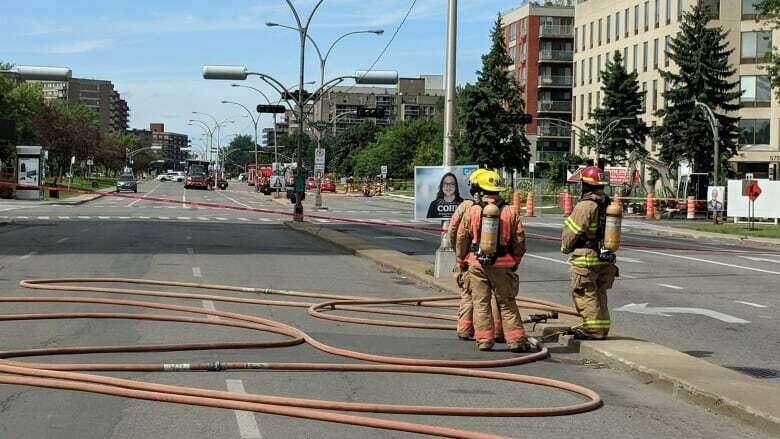 Drivers in Montreal's west end were stuck in gridlock early Thursday after a gas leak forced authorities to close roads near the intersection of Kildare Road and Cavendish Boulevard in Côte Saint-Luc. Benoit Martel, chief of operations for the Montreal Fire Department, said buildings in the area were evacuated in the morning for safety reasons. "The first thing that we have to do is to make sure the gas doesn't go somewhere else, into the buildings," he said late Thursday morning. Énergir, a natural gas company, was on scene in the early afternoon making repairs. The leak was repaired around 12:40 p.m. Residents were finally allowed to return to their homes late Thursday afternoon. With a railyard to the north and train tracks to the south, there are few routes to enter and exit central Côte Saint-Luc in ordinary circumstances. The closure of Cavendish Boulevard backed up traffic in the suburban municipality throughout the day. By 4:30 p.m., all roads had been reopened to traffic. Fuite de gaz - chemin Kildare/Boulevard Cavendish – Deuxième alarme – Coupure de courant possible. Merci d’éviter le secteur. Côte Saint-Luc Mayor Mitchell Brownstein​ said the subcontractor Aquarehab struck the pipe while working on some underground water pipes. It's not dangerous," said Brownstein. A Hydro-Québec spokesperson said the power was interrupted at the request of the fire department, leaving nearly 10,000 customers in Hampstead, Notre-Dame-de-Grâce, Côte Saint-Luc and Montreal West without electricity. Power was restored to the area by Thursday afternoon. Brownstein said the city's public library and some schools in the area ran on electric generators, and one school was let out early.